Three new national colleges will train workers for the manufacturing, wind energy and creative and cultural industries, the government has announced. The Department for Business, Innovation and Skills revealed on Thursday (December 11) that it had approved a new wave of employer-led colleges along with £80m of government capital funding, which is expected to be matched by businesses. The National College for Advanced Manufacturing will be established in Sheffield and Coventry in partnership with the High Value Manufacturing Catapult (HVMC) and the EEF, while the National College for Wind Energy will be established in the Humber. The National College for the Creative and Cultural Industries will be founded at the Backstage Centre in Essex and managed by Creative and Cultural Skills on behalf of a consortium of employers including Live Nation and the Royal Opera House. The establishment of the three new colleges will bring the total to seven, including colleges for HS2, fracking and nuclear power that were announced earlier this year, and the college for digital skills announced on Monday (December 8). 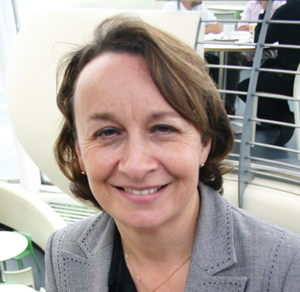 Edge Foundation chief executive Jan Hodges (pictured) said: “National colleges will fill an important gap in our education and training system. Compared with other countries, we have worryingly few people with high-level technical qualifications such as higher national diplomas, yet these open the way to excellent careers across all sectors of the economy.